Asperum: Answers to key questions in Budd's Flora and Flora of Alberta leading to this species. 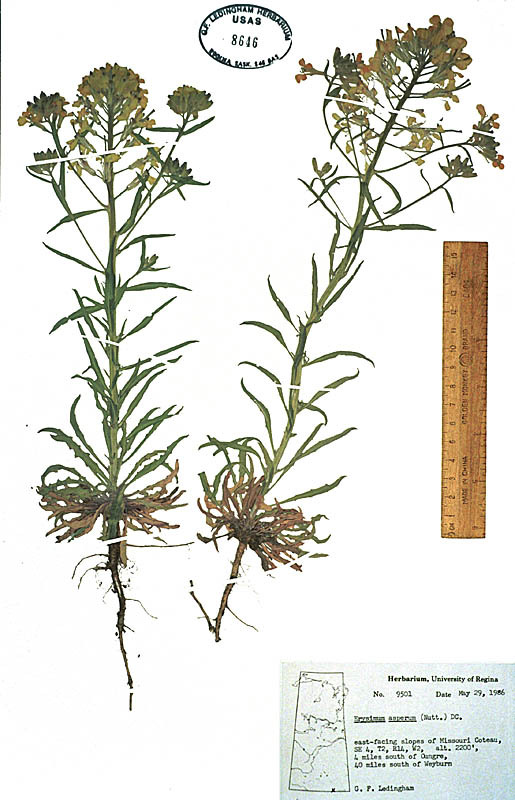 Erysimum: Answers to key questions in Budd's Flora and Flora of Alberta leading to this genus. Note that there is a contradiction in the answers from Flora of Alberta (FOA) regarding whether the leaves are entire or not. The upper leaves of this species are entire; the lower leaves slightly toothed. Note also that the length of the petals specified in this genus key by FOA contradicts the length specified by FOA in the above species key.